Tampons and other women's hygiene products were not exempted from the Goods and Services Tax that was imposed in Australia in 2000. "Tampon tax" in Australia had drawn widespread fire and was branded as "sexist" by campaigners. After almost two decades of political wrangling Australia on Wednesday finally agreed to scrap its so-called "tampon tax". When Australia introduced a Goods and Services Tax (GST) in 2000, health products such as condoms and sunscreen were exempt from the 10 percent charge, along with most foods. But tampons and other women's hygiene products were not. Since then, the "tampon tax" has drawn widespread fire, branded as "sexist" by campaigners, and a regular source of bickering between Canberra, and state and territory governments, which receive revenues from the GST. Australia's health minister in 2000 Michael Wooldridge set a dark trajectory for the tax when he suggested tampons should not be exempt as they did not "prevent illness". "As a bloke, I'd like shaving cream exempt, but I'm not expecting it to be," he told national broadcaster ABC, sparking a sharp public backlash. Years of outcry followed, with "stop taxing my period!" campaigns and staunch activism from groups like the "menstrual avengers". Leaders on both sides of politics flirted with the exemption, while others shied away, passing the buck onto state and territory governments. But on Wednesday a meeting of state and territory treasurers agreed unanimously to scrap the tax as of January, agreeing to forgo the reported Aud$30 million (US$21.5 million) in revenue it raised each year. "There has been a long and tortured history on GST when it comes to tampons and feminine hygiene products," the federal minister for women, Kelly O'Dwyer, told reporters. "I'm very happy to report that today we have been successful, the states and territories have come on board, and millions of Australian women will benefit as a result." The move came at a precarious time for the conservative governing coalition, as it seeks to increase its appeal to women amid complaints of bullying and intimidation from female MPs in its ranks. The complaints reached a crescendo last month during a party revolt which led to the ouster of moderate prime minister Malcolm Turnbull, and the resignation of foreign minister Julie Bishop, the highest-ranking woman in government. New Prime Minister Scott Morrison has resisted calls for his Liberal party to set a quota for women candidates in future elections, insisting the party selects "the best candidate" for the job. About 20 percent of Liberal MPs are women, compared to about 45 percent for the opposition Labour party, which maintains a quota for female participation. 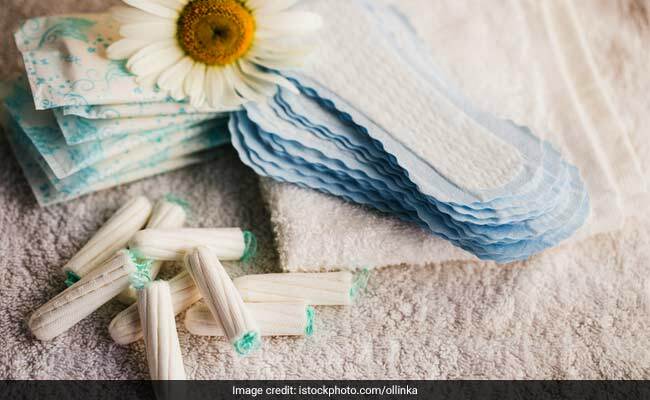 Buy One, Give One: British Business Tackles "Period Poverty"